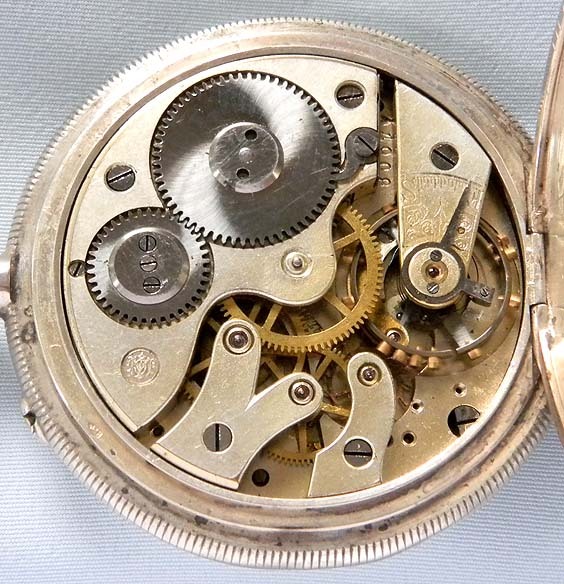 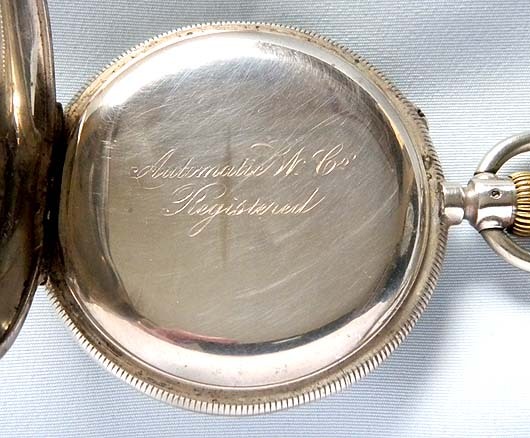 IWC Swiss silver jump hour and minute antique pocket watch circa 1885. 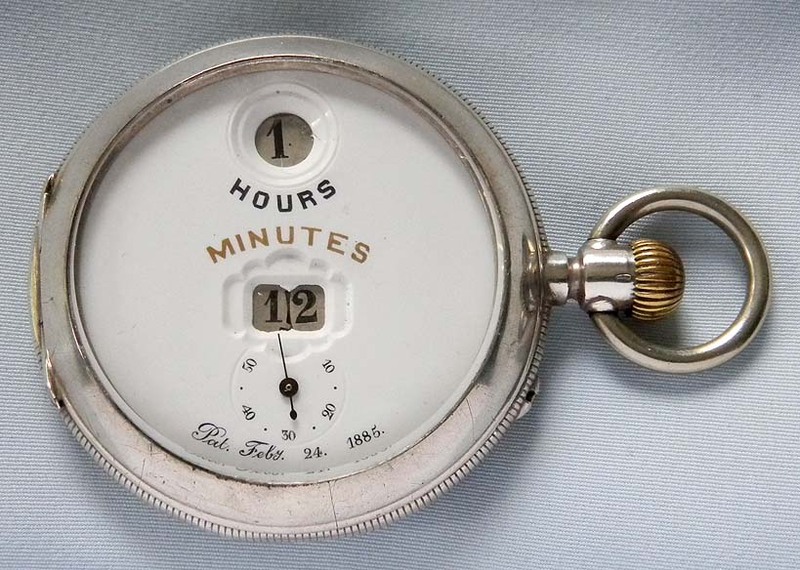 White enamel dial with gold and black markings (clean hairline and 2 small edge repairs under the bezel) and apertures for the jumping hours and minutes, Engine turned and engraved case with overall wear. 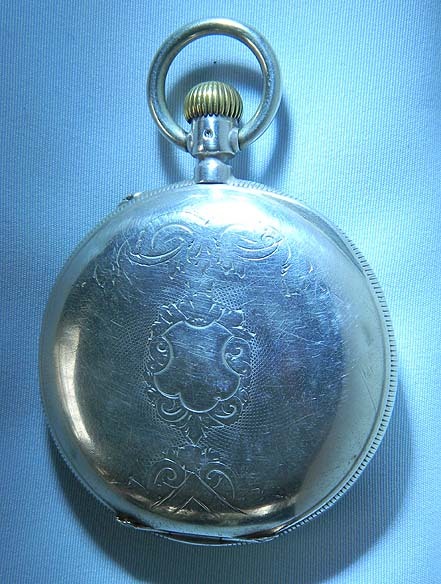 Gilt 15 jewel Pallweber movement stamped with the International Watch Company trademark.